Bahamas Day Pass, the official distributor of resort day-pass shore excursions and an affiliated partner of Atlantis, Paradise Island’s Marine and Water Park Division, has added two more products to it resort day pass offerings . 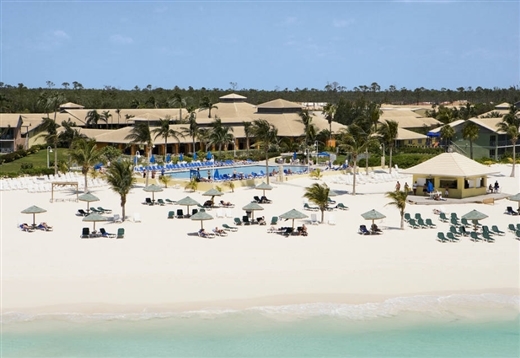 . .
Breezes Resort & Spa Bahamas in Nassau and Viva Wyndham Fortuna Beach resort in Freeport. Cruisers longing for a relaxing day in Nassau can now purchase a resort-day pass to Breezes Resort & Spa, an all-inclusive resort located on the world-famous Cable Beach. In addition to beach access and land and water activities, this resort features three freshwater pools including a swim-up pool bar, main pool and misting pool, plus a poolside Jacuzzi. This all-inclusive resort day pass includes dining at an array of buffets and outdoor grills as well as premium cocktails and exotic tropical concoctions. Cruise passengers visiting Freeport will find a 1,200-foot stretch of soft, white sand beach with top-notch snorkeling in one of the world’s largest reef systems just off shore at Viva Wyndham Fortuna Beach all-inclusive resort. Choose from an array of land and water sports or just relax in style by the 120-by-50-foot pool surrounded by a spacious sundeck, lounge chairs and umbrella tables. This all-inclusive resort day pass includes Viva Wyndham Kid’s Retreat for children and teens; breakfast, lunch and snacks all day along with unlimited refreshing beverages and cocktails. The company’s most popular resort day pass continues to be the Atlantis Aquaventure Waterpark and Atlantis Dolphin Cay in Nassau. Cruise passengers have the opportunity to purchase Atlantis Day Passes in advance.